It's Day 8 in our Gut Health Series and today's recipe couldn't be simpler or more gut soothing. Roasting butternut squash (instead of boiling or steaming) deepens its flavors and brings out the squash's natural sugars. 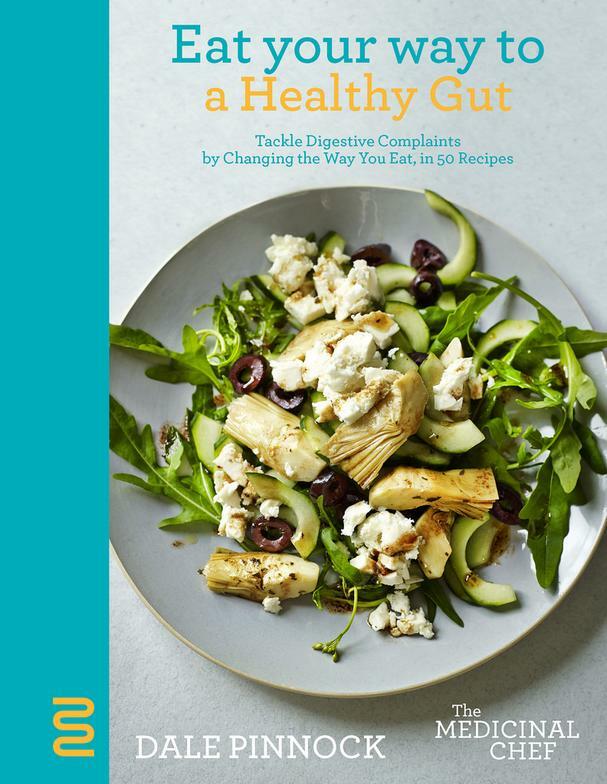 This recipe comes from Eat Your Way to a Healthy Gut, the latest cookbook from nutritionist Dale Pinnock, also known as The Medicinal Chef. 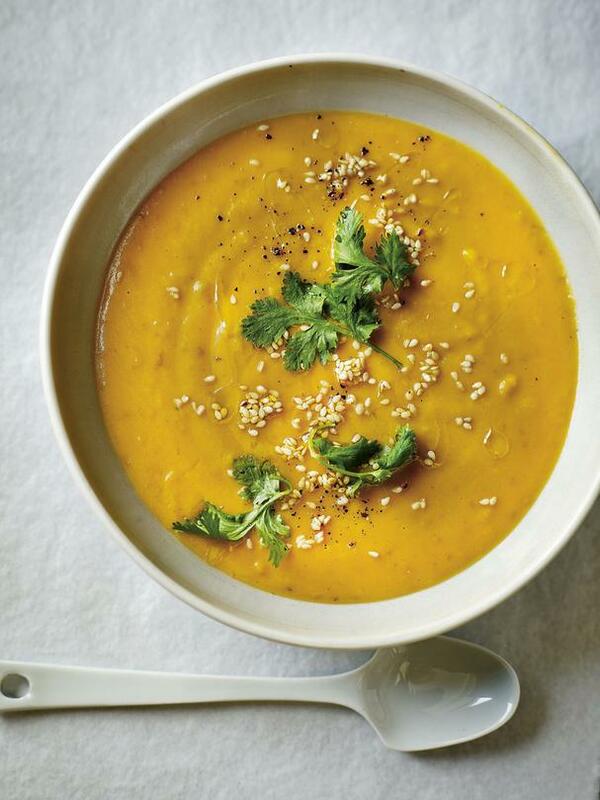 He simmers roasted butternut squash in belly-soothing and -healing broth and coconut milk, then blends it up and serves the soup garnished with fresh cilantro and sesame seeds. This soup is so easy to make any night of the week and can be frozen in batches for super quick meals throughout the week. Be sure to click over to our homepage to get all the gut healthy recipes in our series! Place the squash in a roasting pan. Drizzle with olive oil and add a generous pinch of sea salt and pepper, toss well, then roast at the top of the hot oven for around 45 minutes. Turn occasionally, but I do like to let some of the edges brown and caramelize slightly, as this gives great flavor. Once roasted, transfer the squash to a saucepan. Add the coconut milk and enough broth to cover. Season with a little more salt and pepper and simmer for 10 minutes. Transfer to a blender or food processor and blend into a thick, luscious soup. Serve with a sprinkle of sesame and cilantro (if using).